Several years ago Meg became acquainted with Connected Families. While she was listening to the Peaceful Mothering message she was struck by this powerful thought, “I’m so glad Jesus is my report card, not the kids!” See if this message resonates with you as you read Meg’s story. In school I was what you might call a high achiever. The Lord gave me an aptitude for learning, and supportive parents who encouraged me, so getting high grades was relatively easy. It was natural to start looking at my report card as a reflection of my value as a person and it was really important to me that I came out as close to the top as possible. I still fight the tendency to get my value from my performance but, unlike school, raising children has not been nearly as easy. And unlike academics, my parenting report card is not clearly defined. My oldest child has been quite a test for me, and I found myself trying to control her behavior so that I didn’t get judged or “graded” by others. For the first time in my life I couldn’t get straight A’s and I recognized that the pressure I was putting on both my daughter and myself was a pressure that God never intended for us. I cannot control how well my children behave, but I can get an A at encouraging, inspiring and challenging them to use their God-given abilities. I cannot guarantee that my child will make all the life choices I would choose for him, but I can get an A+ in loving him with a love that hopes, believes and endures all things. 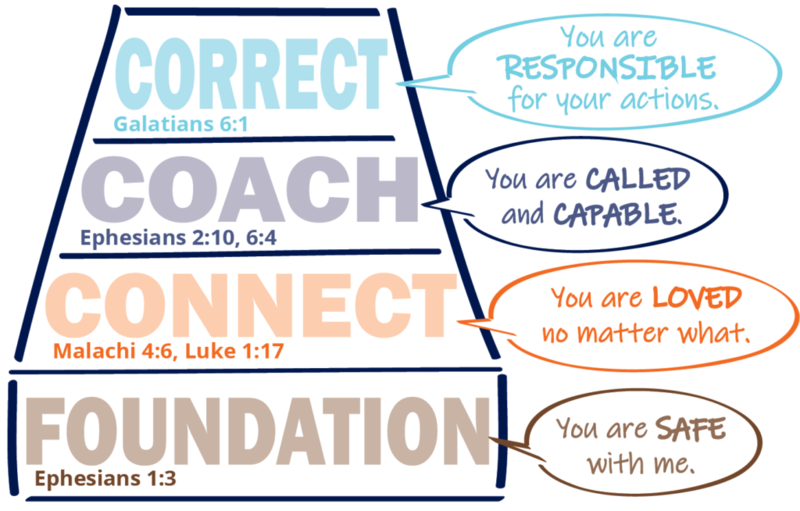 Connected Families emphasizes over and over that Jesus is my report card! When God gives me a grade, He doesn’t actually look at me at all. When He grades me, He looks at Jesus! On this side of Heaven I won’t walk perfectly in the Spirit, respond graciously, and love like Jesus loves. But by faith I get to wear His righteousness. God looks at me and says, ‘Accepted and beloved – A+!’ As I learn this I can pass the same truth on to my children. 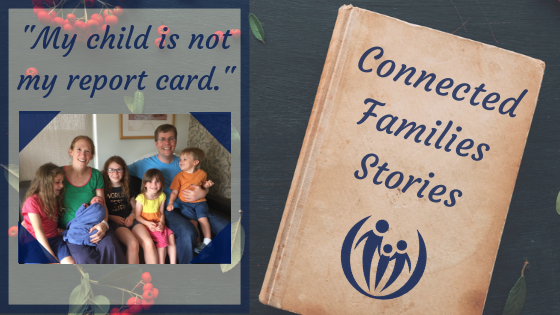 In addition to watching the Peaceful Mothering DVD, Meg and her husband have also participated in parent coaching with Connected Families and they have gone through the Discipline that Connects with a Child’s Heart online course (registration opens in January!). 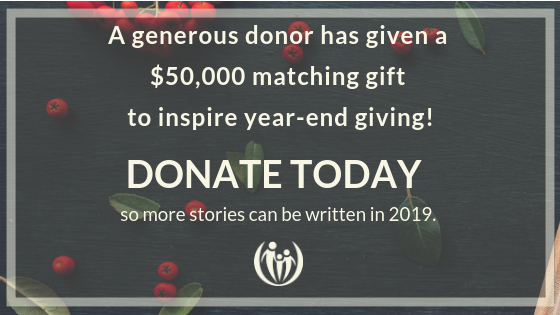 These resources wouldn’t be possible without our donor team.